Stevenage vs Crawley Town predictions for Saturday’s League Two fixture at Broadhall Way. With 3 wins in their last 5 home games, the hosts will be looking to take advantage of Crawley’s poor away form. Continue reading below for all our free tips and predictions. After picking up just one win in the month of December, Stevenage find themselves 11th in the League Two table but remain just 5 points off the playoffs as we head into the latter stages of the season. They return home where they have picked up 23 points from 12 games played this season after a disappointing 2-0 defeat to 21st place Cambridge United last weekend. 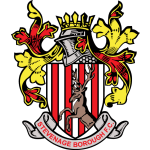 Stevenage were lucky to escape with a 1-0 victory in their last home game after Kurtis Guthrie received a straight red card in the 38th minute. A late goal from Alex Revell in the 86th minute was enough for Boro to grab all 3 points in an important victory for them. Crawley head into this game with an abysmal away record, losing 11 of their last 14 games away from the Checkatrade Stadium. Their strikers are having a tough time, with the team averaging just 0.58 goals per game while picking up just 7 points from a possible 36 away from home this season. Despite their poor away from, Crawley head into this game looking for their 3rd straight win after knocking off 8th place Colchester and Cheltenham in back to back home games. Ollie Palmer returned from suspension to pick up his 10th league goal of the season and push Crawley 7 points clear of the relegation zone. The hosts head into this game as favourites despite an inconsistent run with forwards Kurtis Guthrie and Alex Reid both suspended. Crawley may not have a better chance to grab a point with Boro picking up just 7 points over their last 8 games. With Ollie Palmer back in the squad and scoring last weekend, I think Crawley can at least hold out for a draw in this one. Stevenage are averaging 1.23 goals per game at home.